Terrassa is a city located about 30 km from Barcelona that has more than 216,000 inhabitants. Among its strategic lines, Terrassa City Council is committed to equal treatment and non-discrimination policies. 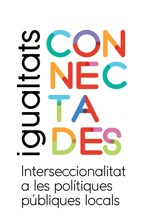 The mission of CEPS Projectes Socials (Barcelona) is to facilitate citizens to access the social and cultural capital of their communities by empowering people, fostering social cohesion, social inclusion and combating discrimination.